Small changes can have a big impact! A brighter smile is possible with safe and effective in-office and at-home whitening treatments. A whiter smile is a common wish, and it’s definitely doable – but it’s important to get advice and guidance from your dentist on safe options and the best treatment for your situation. Certain types of stain respond better to certain treatments, so your dentist may recommend one method over the other. Restorations such as bridges, crowns, or veneers will not whiten consistently with natural teeth, and sensitive teeth or teeth that are chipped, eroded, or weakened by cavities should be repaired or protected before whitening treatments are applied. A consultation with your dentist will answer your questions, and provide you with the best information for the best results. We offer the popular Zoom3 system for whitening your smile, which combines an in-office light-activated whitening treatment with an at-home follow-up regimen and touch-up kit. We also offer a simple and effective in-office whitening treatment for those who have only one or two discoloured teeth. Great results can also be achieved through dentist-supervised at-home whitening – which should not be confused with over-the-counter bleaching products available at drug stores. Dentist-supervised at-home whitening is simple, economical, and effective, with applications of about one hour per day for about a week. 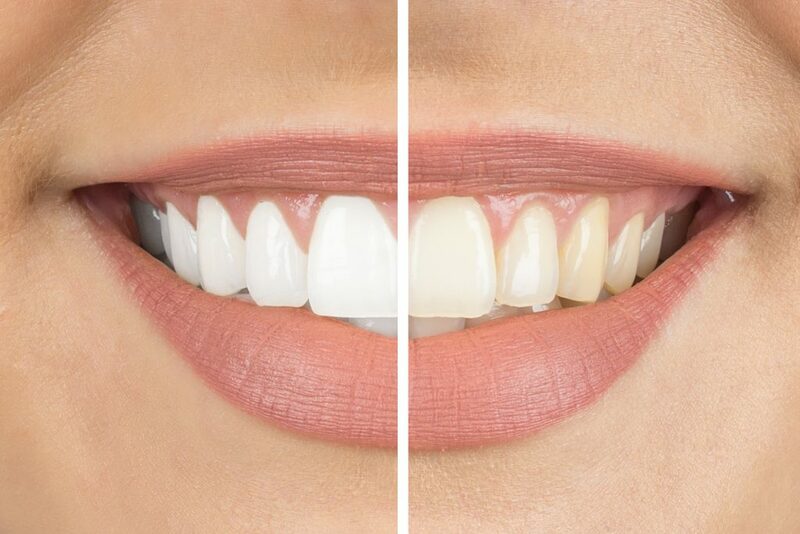 Up-to-date research has proven tooth bleaching to be both safe and effective, but it’s important to complete whitening treatments under the guidance of your dentist to be sure that the method you’re using is safe. Don’t be tempted to use abrasive ‘whitening’ toothpastes which actually do more harm than good in the long-term. If you’re interested in whitening your teeth, the first step is to talk to us about the best option for you!